The word Jabberwock, copyrighted by Delta Sigma Theta Sorority, Inc., has evolved in its symbolism over the past eighty years. It represents a Cotillion program of elegance and entertainment that showcases the gifts and talents of the young women program participants while advancing the goals and objectives of the Delta scholarship program. In an interpretation of the immortal classic, “Alice in Wonderland”, Lewis Carroll created the delightful character known as “Jabberwock” who summoned all of the creatures in the kingdom to perform a gala event. Being mindful of this concept, Delta member Marian G. Conover Hope of the Iota Chapter in Boston, Massachusetts creatively recalled this mystical character, but in a dramatically different manner, when faced with the challenge of devising plans for a fundraising project. Conceptualized in 1925 as a musical variety show that consisted of skits and dances, the Jabberwock has since evolved into a more diverse program that continues to raise funds for scholarships. 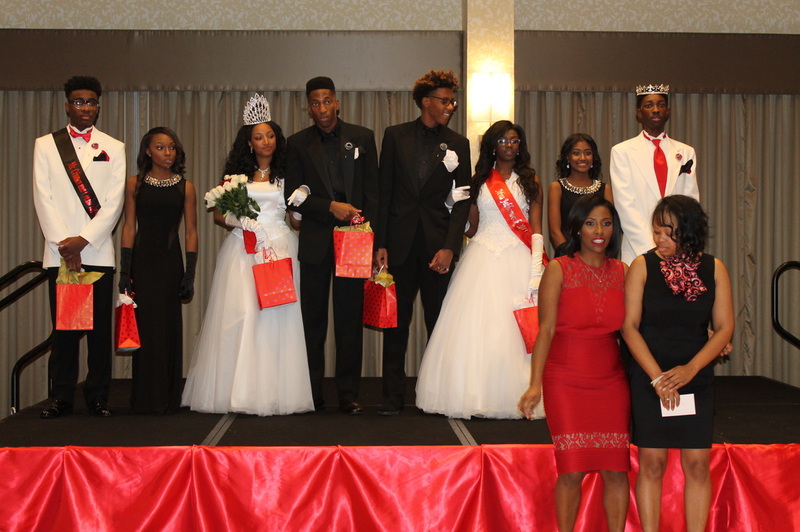 The Southwest Dallas County Alumnae Chapter has extended the opportunity to young men to be able to showcase their talents as well, by adding "Mr. Crimson & Cream" to the pageant's title. The chapter wanted young men to also have opportunities for scholarships. This year marks the first time that young men have been invited to participate. We know this is going to be an awesome experience for all. Contestants, escorts, winners and committee chairs pictured. Visit the website Gallery to see more.